Believe it or not, fall is only a few short days away, and even if we aren’t preparing ourselves for it, nature certainly is. 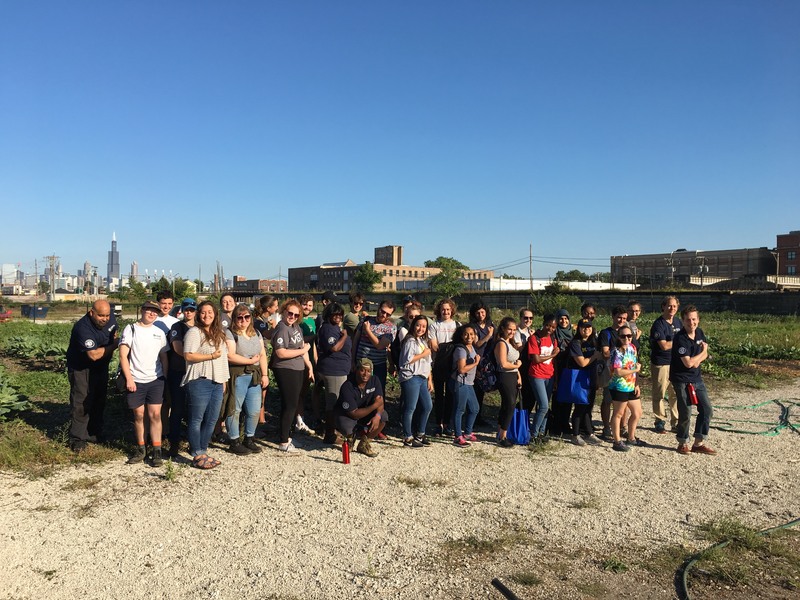 When you have plants growing in the middle of the city, sometimes they can use a little extra help, and that’s where Housing Action Illinois’ network of over 20 AmeriCorp VISTAs enters the scene. All full-year VISTAs, who work in capacity building for nonprofit organizations, are required to participate in a direct service project in conjunction with the anniversary of September 11. This year, the VISTA networks of Housing Action Illinois and LAF gathered at Heartland Alliance’s FarmWorks, a 2.6-acre urban farm in Chicago’s East Garfield Park neighborhood, to serve the community while reflecting on the gravity of the day. 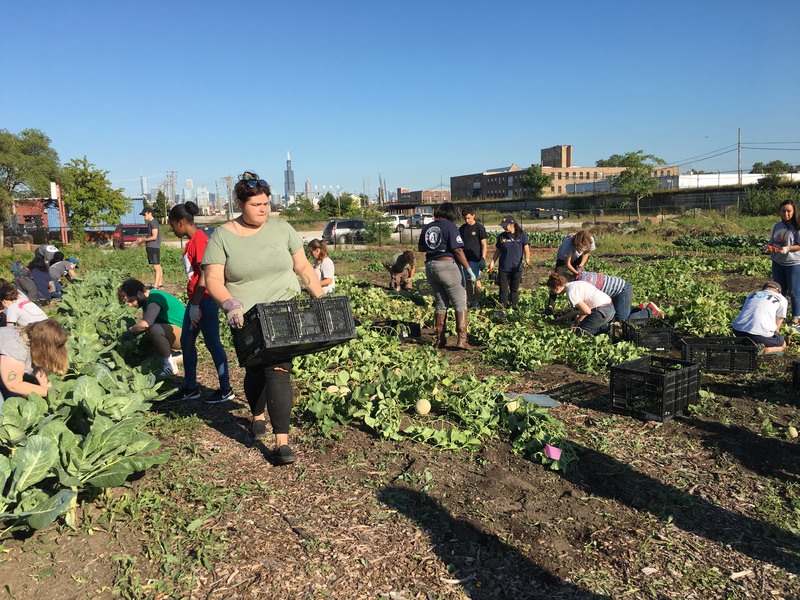 Volunteers weeded through 13 rows of green beans, cantaloupe, sweet potato, and collard greens to prepare the soil for the fall harvest. The 10,000+ pounds of FarmWorks produce grown annually is distributed to local food pantries for people with limited access to healthy foods. 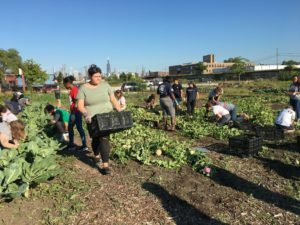 FarmWorks also runs a transitional job training program, where people with barriers to employment are hired full-time as they receive critical professional development trainings. 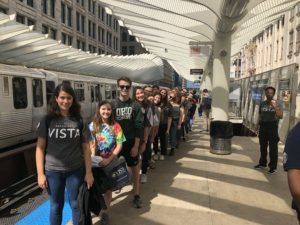 In fact, the event was the first opportunity for many of the VISTAs, who are just beginning their service year, to get to know one another. 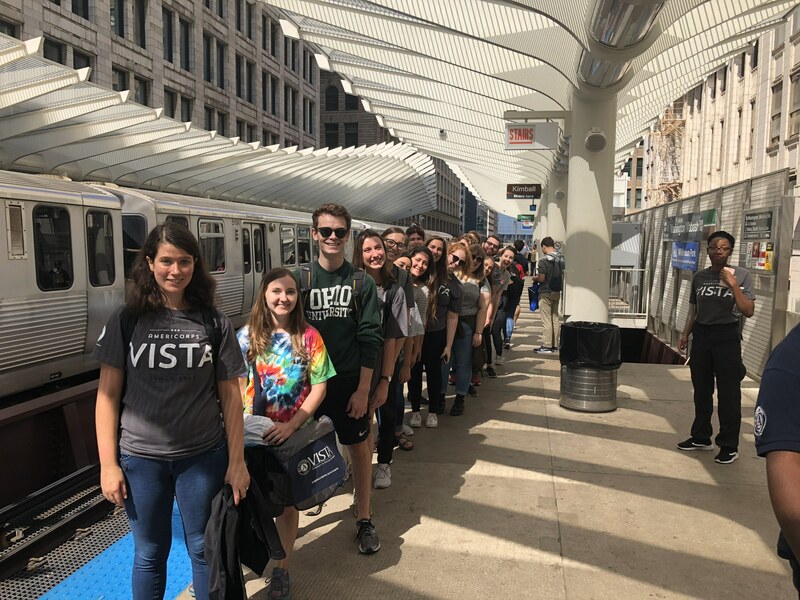 Hannah is not alone in journeying to the Chicagoland area for her VISTA service. Participants traveled from California, Michigan, and Ohio to work in organizations that fulfill their shared yet unique interests in community development while getting to experience life in Illinois.